Most high school sophomores spend their free time watching TV, playing video games, or taking hashtag-laden selfies. But 15-year-old Jacob Cramer isn’t your average sophomore. He’s the Founder and Executive Director of Love for the Elderly, an organization “dedicated to providing happiness to the elderly” by distributing hand-written notes to nursing home residents. “When my grandfather passed away in August 2010, I was really struck by how lonely and fragile so many elderly people are,” Cramer told us. Following his grandfather’s death, he began volunteer at his local nursing home — but what he saw there unsettled him. The model is fairly straightforward: strangers from anywhere on Earth anonymously submit hand-crafted letters to Cramer, who then delivers them to nursing homes. Each letter is entirely unique and provides seniors heartfelt messages of support, riddles and jokes, or even something as simple as a description of the writer’s day. But Cramer realizes the elderly face problems that letters alone can’t solve — namely ageism, or the discrimination against an individual based on their age. He most recently spoke at a TEDx event with Cleveland State University, giving a talk titled “Embracing the Elderly: Deafeating ageism with the strongest weapon of all — love”. 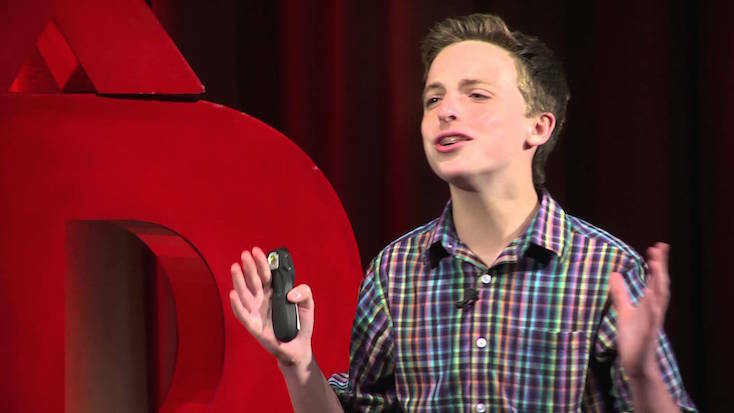 Below you can see Cramer giving a similar talk at a TEDx Youth event in Cincinnati earlier this summer. Even though Cramer keeps busy running his organization and passionately fighting for the elderly, he doesn’t neglect to spend time with those who inspired him to be who he is today. Click here to send in your very own letter to the elderly. If you’re looking for someone to spend time with your elderly loved one, hire one of our amazing Heroes today.